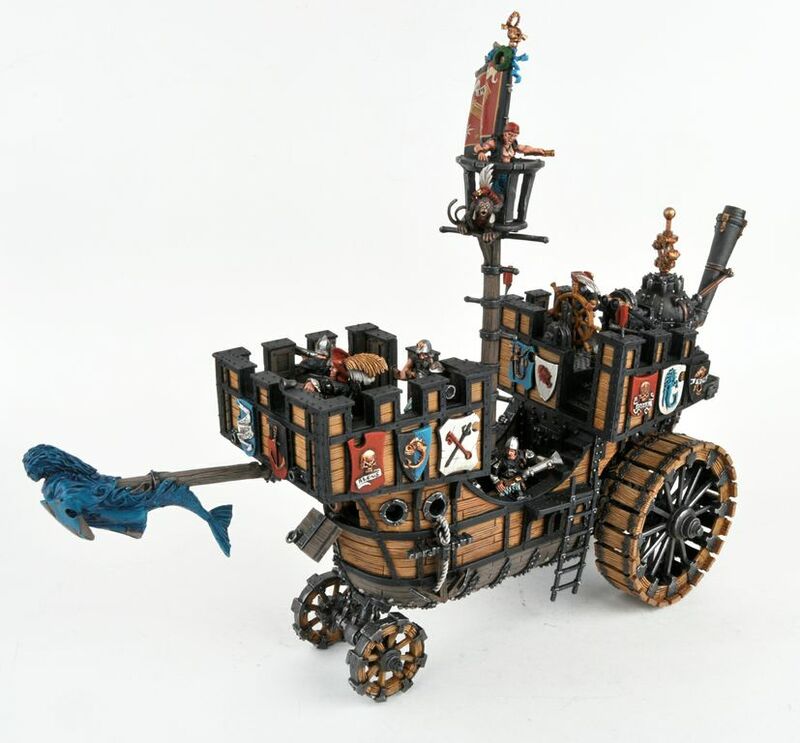 Welcome back to The Miniature Painting Masters Series where we sit down with some of our hobby's most prolific and well known painters. 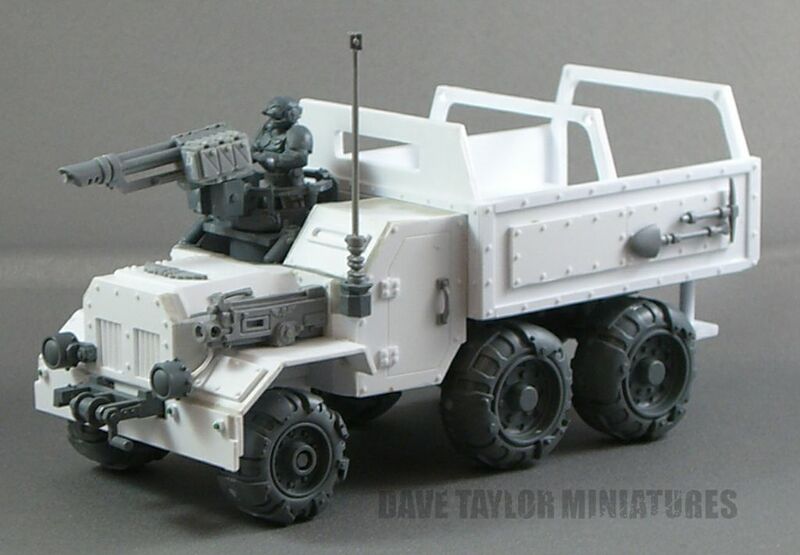 In our second installment we talk with Dave Taylor, perhaps best known for his work in White Dwarf from several years ago. Dave: During high school (late 80’s) I’d regularly play D&D with a group of friends, and over that time we slowly collected and painted up models to represent our characters and the monsters they faced on a regular basis. 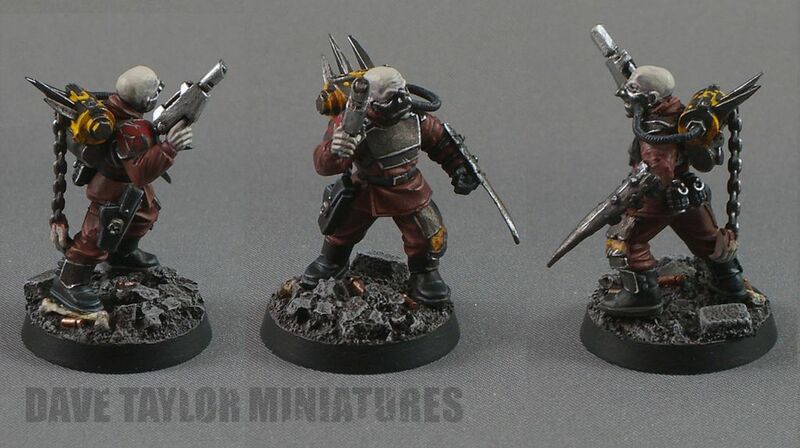 At the time our paintjobs were hideously amateur, but we didn’t know any better. 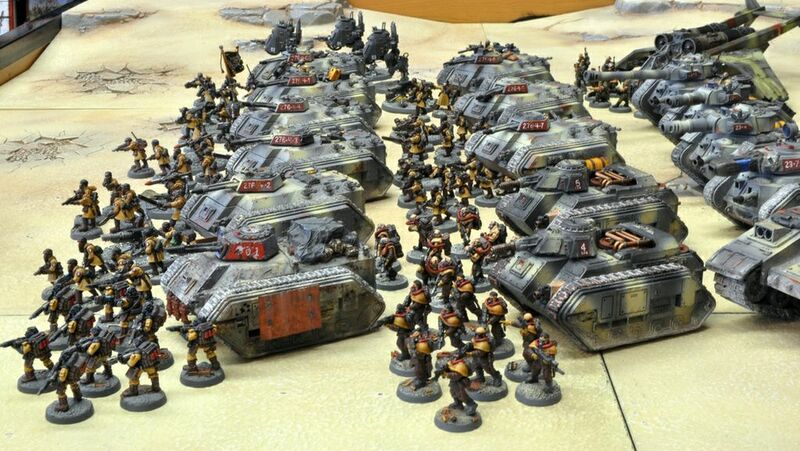 Once I was at university (and working part-time) I had a little more money to spend on miniatures and discovered there were games associated with the cool Space Marines and Eldar I was buying. That was in 1991. The rest, as they say, is history. 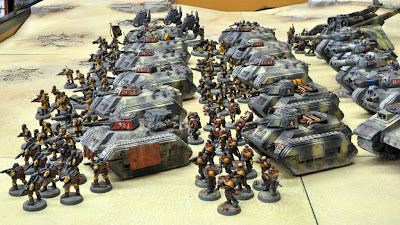 Tyler: Which aspect is more important to you, the wargaming or the hobby and why? Dave: I’m going to be nit-picky here for a second. I see the whole of what is possible as “the hobby” – the gaming the painting, the collecting – all parts of the larger “hobby”. But do I prefer gaming or modeling/painting? 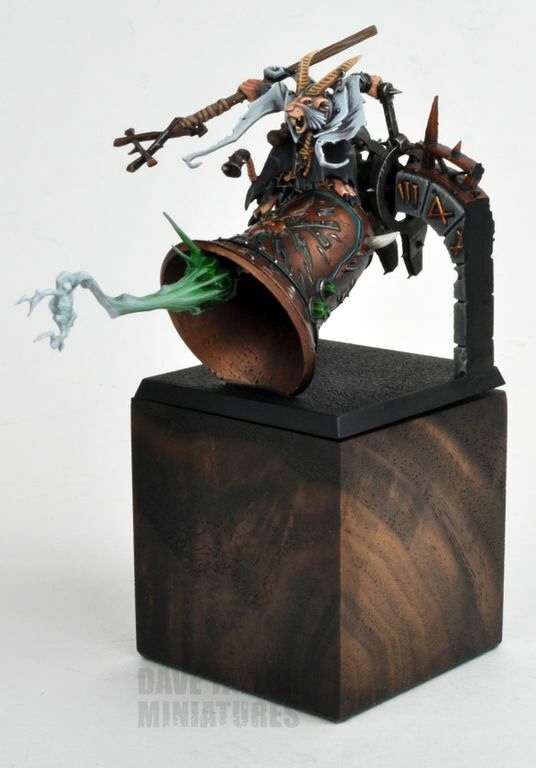 Definitely the modeling and painting part of the hobby, unashamedly. I do play on occasion, primarily to enjoy a good day (or night) hanging out with friends that prefer the gaming part of the hobby. 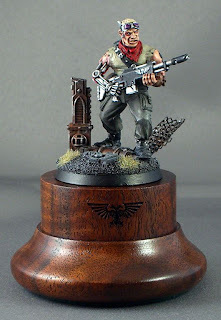 Dave: I must admit I don’t often tackle a piece as a “display model”. Almost all of the pieces I enter into competition are from my armies. I’ll spend a bit more time on the army centerpieces, adding extra layers of highlights and shading, additional weathering and so on. All the work, however, is to make it look good at the center of the army. 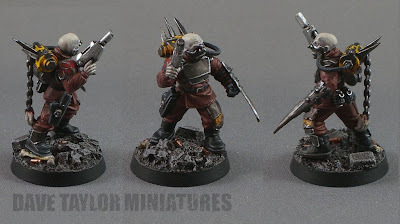 When a competition comes up, I look around for my favorite pieces I’ve painted recently. 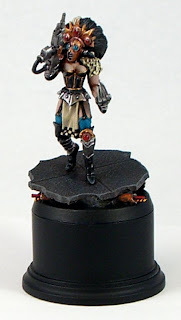 Tyler: Since focusing on the painting side of the hobby more, how often do you find time to play games? Is that still important to you? Dave: I probably get a chance to play once or twice a month. I have a good group of friends that I used to work with, and we have a very relaxed approach to the games we play. We really play so infrequently that we spend most of our time checking new rules and learning about crucial changes in each edition. Is it still important to me? Sure it is, it’s a great chance to get everyone together and socialize. Tyler: How long had you been painting at what you would consider a serious level before you won an award? (Golden Demon or other) and can you take us through a little of your thought process on how you prepared that winning model. 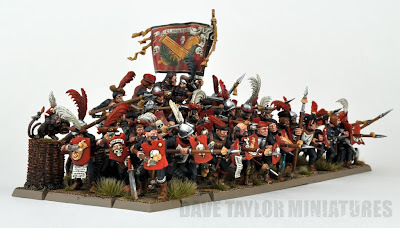 Dave: I think I’d been pretty happy with my painting for about five or six years, a serious level, but that was for army painting. 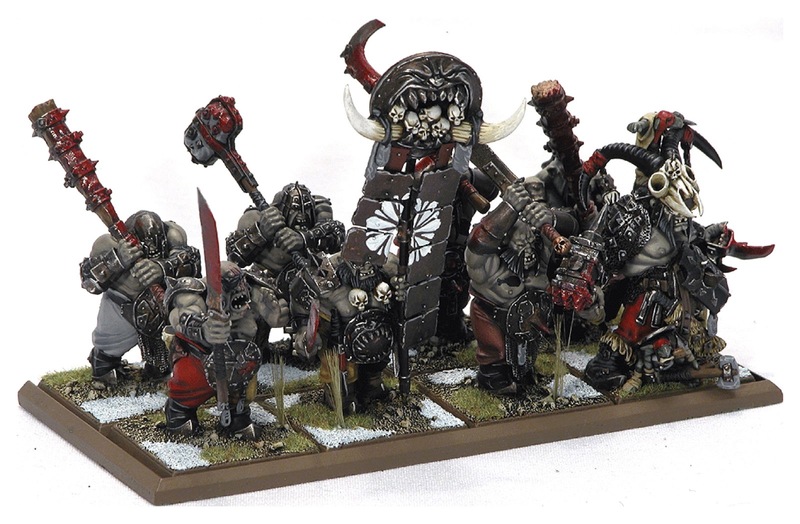 When the Ogre Kingdoms models were first released, I was so enamored that I stopped painting anything else and jumped into a world of rusty metals and vast expanses of grey skin (as they were when GW released them in late 2004-early 2005). Later that year I picked up a couple of “Staff Golden Demons” at Baltimore Games Day, including the “Staff Sword” for my Ironskin Irongutz unit. 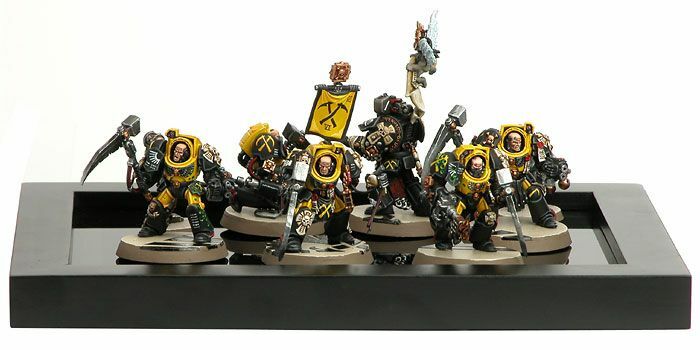 All those trophies were for models straight from my army. Tyler: What is your favorite model or models that you have painted? This can either be the one(s) you enjoyed painting the most, was happiest with the final paint job, or just really appreciate the sculpt. 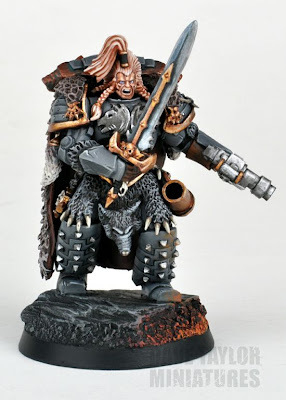 Dave: To be completely honest, I’ve painted 300+ models a year for at least the last 12 years (probably longer), including over 500 models in 2011, so I couldn’t possibly pick a favorite. Dave: I think the biggest changes that have affected the way I’ve painted since I started back in 1991 are the use of more natural/less saturated colors and an increasing amount of shading/washes used to create a more natural look. It has been very interesting evolving my painting over the years. Sometimes a trend has passed me by, but I’m pretty happy with how my armies look nowadays. Tyler: How do you feel the rise of the internet has affected the way people paint their models or the general direction that miniature painting has gone in? 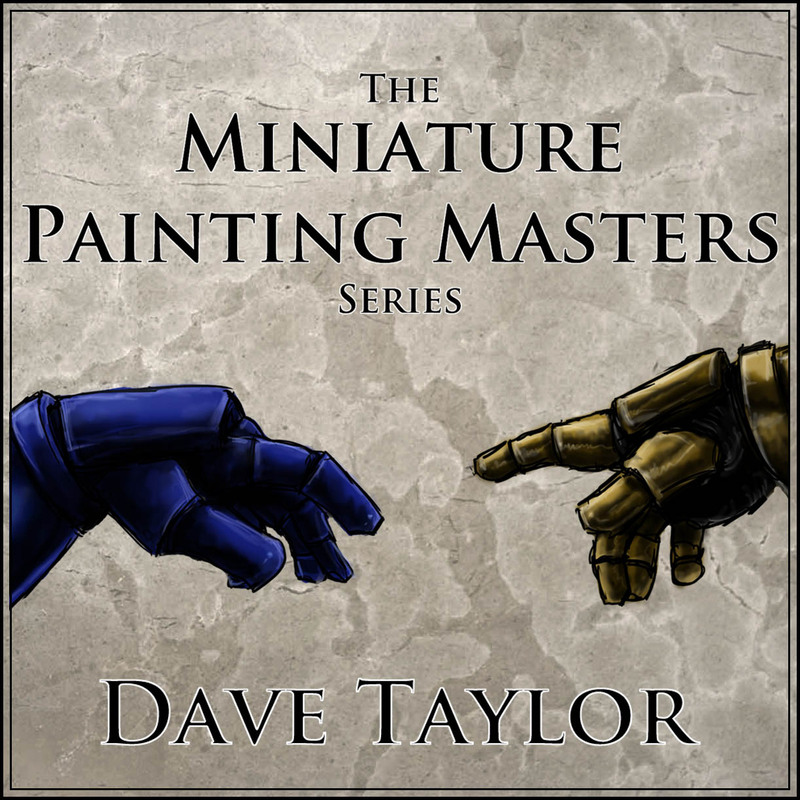 Dave: The Internet has certainly helped more people with their painting than could ever have been dreamed of 21 years ago. Access to so much information and so much helpful feedback has strengthen the quality of painting around the globe. Inspiration is also just a click or three away! Dave: I’m not sure. There are a fairly small stable of exceptional painters who innovate, creating new techniques or approaches, creating wonderful pieces that inspire. I think, however, that these painters could almost be seen as fashion designers in that their works are the “crazy” pieces you only see on the runways of Paris or Milan. 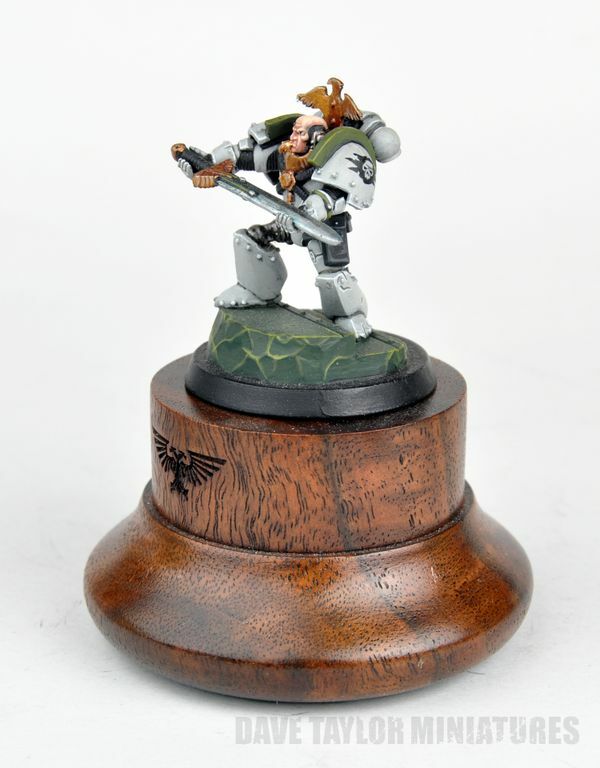 For the rest of us interested in competition painting, we’ll end up working on a pared-down version of the technique. If I’d been asked this question two years ago, I’d have said wonderfully deep metallics. 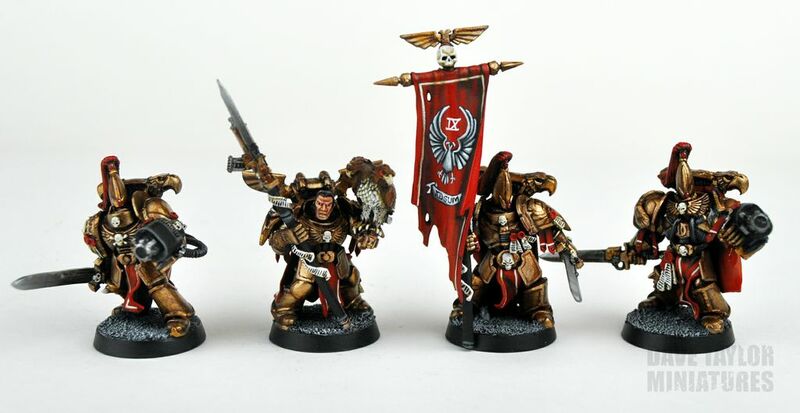 Tyler: As someone who has worked within the hobby world at a professional level for quite some time, be that at Games Workshop or Wargames Illustrated, how does that affect how you see painting miniatures? Dave: I’m surrounded by great miniatures all day, be it photos for our magazine (Wargames Illustrated), or checking them out online, and it has been the same for almost 20 years. So, I’m not really sure how it has “affected” how I see painting miniatures. 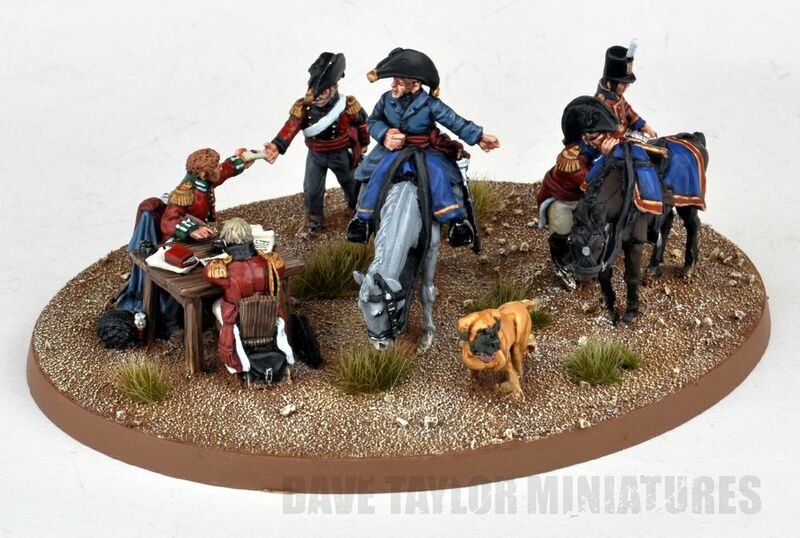 I do know that painting miniatures is such an important part of my life that I’d be lost without it. 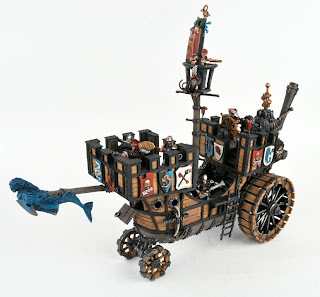 Tyler: To many people who have read White Dwarf over the years your hobby projects are iconic. When you started one of those armies such as your Custodes, was it as a project for WD from the start or did you go to the rest of the magazine team afterwards with the finished project? 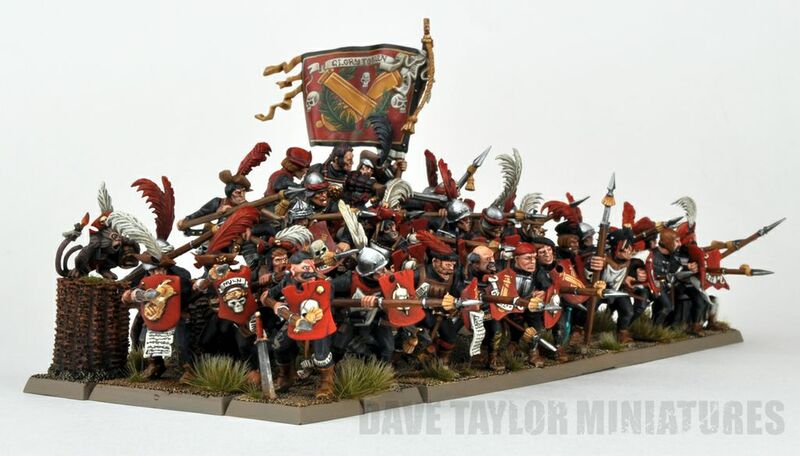 Dave: Generally, if you got to see the whole army (or a sizeable chunk of an army) then I definitely started as a project for me, and made it into the magazine later. If you see a single model or a small unit, then that would typically be a project that was done specifically to fit a WD design brief. Tyler: Recently Cool Mini or Not has started offering a $10,000 grand prize for their Crystal Brush awards. Do you feel that this helps "legitimize" our chosen hobby a bit more? 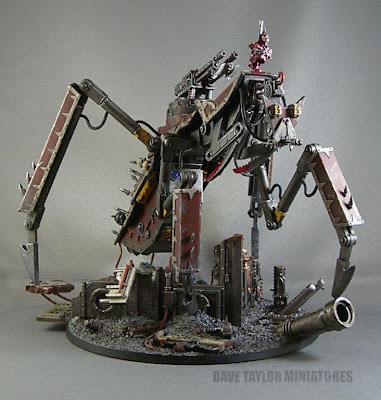 Dave: As somebody who has made a legitimate living for 18 years from this wonderful hobby of ours, I don’t feel that it needs additional “legitimizing”. 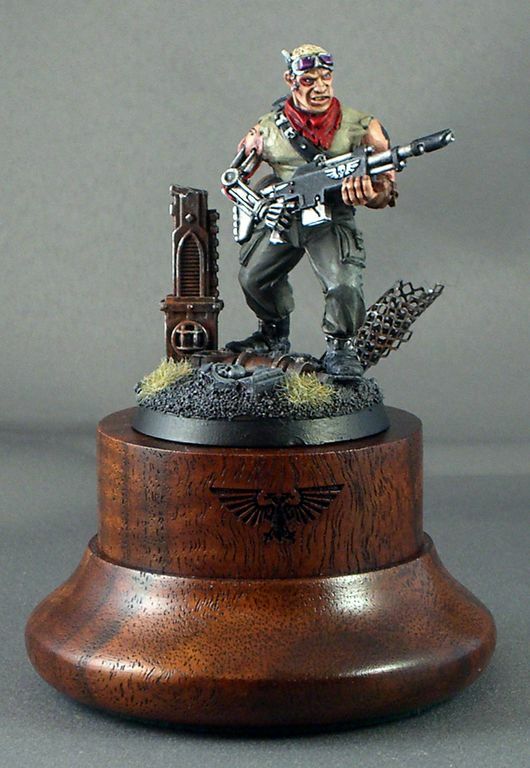 As for the prize money, I’m not sure it’s a good thing for the painting hobby. I guess it all comes down to what you want to get out of your painting (or painting competition), but for my money, I’d like to see painting competitions grow in not only the quality of entries, but also in the quantity. Unfortunately the number of entries in the Crystal Brush in 2012 was down from the 2011 competition, which was considerably down from the Adepticon painting competition in 2010. Hopefully 2013’s Crystal Brush competition will see a turn around. Tyler: Any final thoughts before we finish the interview? Dave: I really appreciate the opportunity to participate in this series. I know some of the other painters you are looking to interview and they are leaps and bounds ahead of me in terms of the quality of their work and comprehension of the techniques they use, and to be in their company is a real honor. 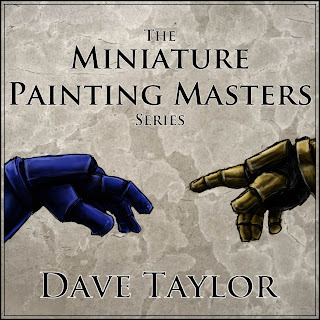 Be sure to check out Dave's website at Dave Taylor Miniatures which is updated frequently and check beck here for next month's interview. Dave supplied me with so many wonderful pictures that I couldn't fit all of them in the article, so I will leave you with a gallery of his work.